At A&L, the customer is key. 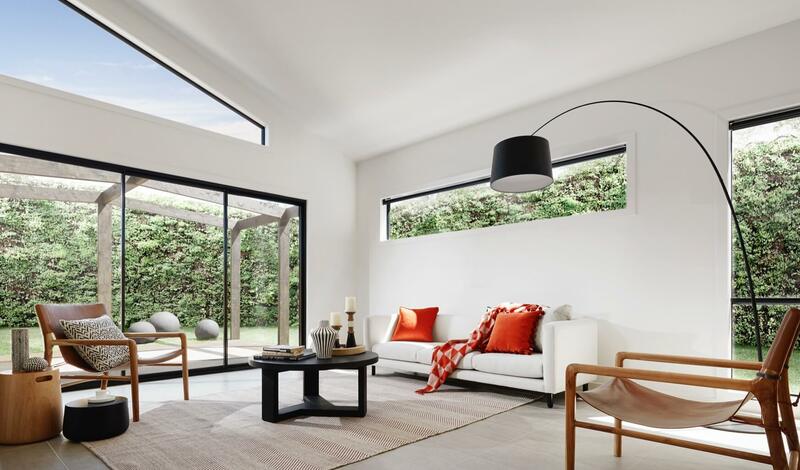 Whether you’re an architect, builder, sales representative, or home owner, we’re dedicated to delivering on your unique needs. And arguably the most critical component of delivering is exactly that—delivering. The Operations Department is an essential cog in the manufacturing, maintenance and delivery of high quality A&L products. Delivering in full, on time, involves a comprehensive supply chain both within and outside of A&L. With a core group of hundreds of skilled team members interconnected with other teams and suppliers, our Operations Department is right at the heart of everything we do. Successful delivery involves a balance of smooth production rhythms and the flexibility to accommodate fluctuations in demand. Procedural excellence is an absolute must. So how do you maintain consistency, cater for change, and continuously push for improvement? 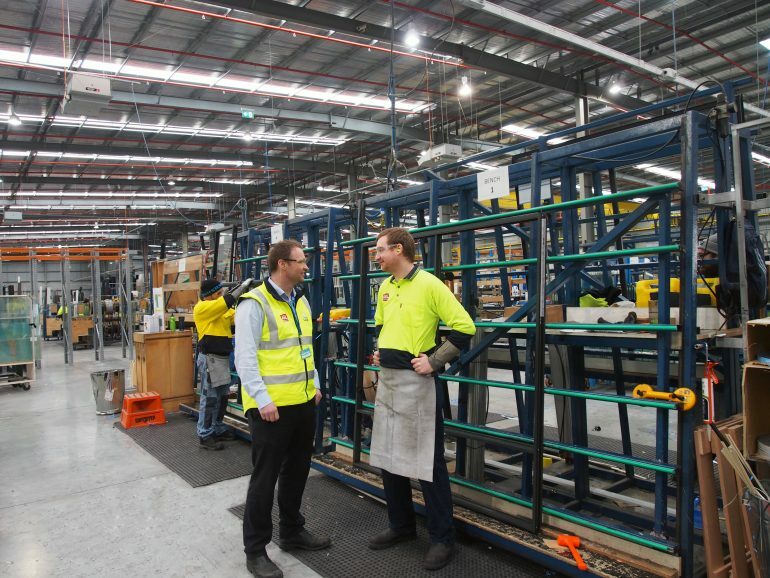 We spoke with our Victorian Manufacturing Manager, Troy, to find out. The Operations Department maintains the highest standards in safety, quality, delivery, cost efficiency, and environmental responsibility, while ensuring A&L manufacturing runs smoothly on a day-to-day basis. Flexibility is essential, so there’s also the ability to scale up and increase production rates to exceed these numbers, thanks to an adaptable team structure and on-demand skilled labour force. We have 18 trucks and 25 service vans for product delivery and logistics. To maintain a successful production rate of this magnitude, the team relies on a series of strong operational frameworks. These frameworks, in combination with a customer first approach, hard work, and dedication, have led to some impressive results. The frameworks include techniques such as DMAIC (define, measure, action, implement, control), Root Cause Analysis (a process designed to uncover and remedy core issues in production), and 5Why (used to establish a comprehensive birds-eye view of any issue). It’s about making things safer, faster, more effective, and delivering higher quality. Thanks to these frameworks—and some additional strategies and operational streamlining—internal performance indicators have increased to record levels. In-house success KPIs are higher than ever before. These include measures for labour efficiency, production quality analysis and changes in operational culture. External performance is equally as promising. In the past year, our DIFOT (delivered-in-full-on-time) measurement—the primary indicator of delivery performance within a supply chain—has hovered between 95% and 98%. These improvements focus on two key concepts: reducing lead time and eliminating shorts. Lead times—the time from order to delivery—have improved thanks to a strategy of balancing ongoing customer requirements with available labour. As a result, we can significantly flex skilled labour on any day, while maintaining a DIFOT of over 95%. ‘Shorts’ are essentially missed deliveries. Through daily Root Cause Analysis meetings at the factory, Supervisory and Production Management teams rapidly uncover core issues causing non-supply and eliminate the problems. Every single day revolves around identification of issues and improvement, with a view towards building greater customer satisfaction. 5am – The day begins… for some: A select group of day-shift employees arrive to complete initial preparations, and set the remainder of the team up for success. 6.25am – Remaining team-members arrive: The remaining day-shift employees arrive to commence a five-minute stretching routine to minimise the potential for overuse injuries. 6.30am – Start your engines: Production manufacturing begins. 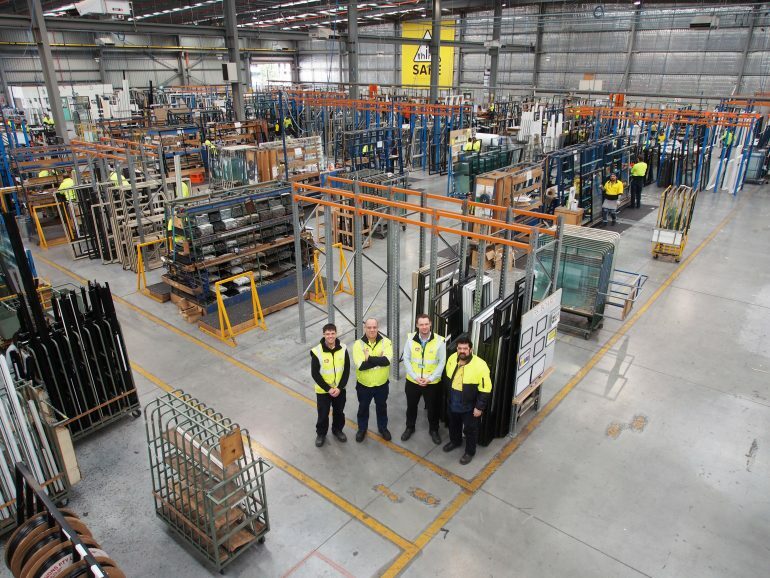 All raw materials—including glass, aluminium, timber and rubber—are set up at work stations to increase efficiencies. Each operator has a pre-set daily production quota assigned to their work bench. The quotas provide foresight into daily manufacturing quantities, ensuring we’re able to level the factory to run smoothly and creating knock-on efficiencies down the chain. 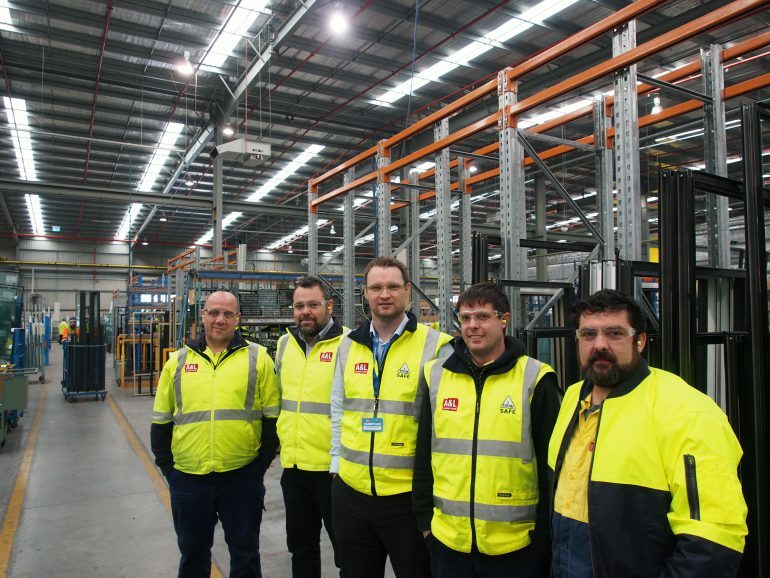 7.30am – Meet for improvements: The Production, Transport, Service, Procurement and Inventory Teams meet. During a half hour discussion, team members analyse the previous day’s metrics based on SQDCE key performance indicators (Safety, Quality, Delivery, Cost, Environment), and identify requirements for ongoing performance. 9am – Contingency checks: The first of the All-Department Supervisor’s Meetings occur, with subsequent meetings every two hours at 11am, 1pm and 3pm, to ensure that production is on-track for successful delivery. If production rates are behind schedule, these meetings are used to develop contingency processes to ensure delivery is met. Once per week, the Department Supervisors report on company-wide performance indicators and discuss potential improvements for communication with the factory floor. 10.30am – Regular Root Cause Analysis: With production and delivery humming along according to schedule, the Supervisory and Production Management groups meet to perform Root Cause Analysis on any issues. 3.30pm – Afternoon shift commences: The day-shift team hands over to afternoon-shift personnel. Afternoon shift consists of 26 employees who begin preparations for the next day. With the day complete, it’s time to rest up, get ready for tomorrow, and deliver the same effort: again and again.